inDemand is looking for European companies to solve 3 challenges identified by healthcare professionals from Foch Hospital in Paris (France). Co-develop and validate the solution within the Foch Hospital and GIP. After patients leave the hospital, hospital practitioners are victims of the “tunnel effect”: they do not know what is happening until the next consultation (from 10 days post-surgery until several months in oncological monitoring). Having data on these patients in real time between two visits to the hospital would allow practitioners to anticipate complications, adjust prescriptions, avoid unnecessary hospital visits (emergencies, hospitalisation) and obviously improve the state of the patient’s health. *Some new specifications have been updated in this challenge by May 7th. 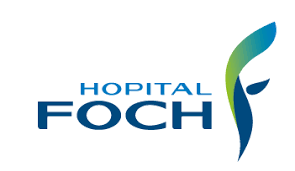 FOCH Hospital decided to focus on the follow-up of transplant patients (renal and pulmonary). Sorry for the inconvenience. There is a gap in the monitoring for patients after hospital or outpatient withdrawal, especially when the patient finds himself in his “consumption” environment, but also a lack of contact with his referring addictologist. The management of an alcohol-dependent patient who has been weaned requires close contact, on demand, to prevent frequent relapses, especially in the first 3 months of consumption. All hospital addiction units could benefit from a platform for e-consultations, accessible to alcohol-dependent patients monitored in the Liaison and Addiction Treatment Teams Unit and to their addictologist physicians, compatible with the telemedicine charter validated by the Order of Physicians. Oulu Region has also launched a call to solve 4 challenges. More information here.